Moderated by Piers Fawkes, CEO of PSFK and founder of New York Retail Innovation Week. 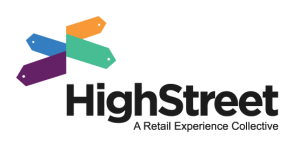 Ed King Co-Founder, Customer Experience Strategy for HighStreet. Shannan Coghill, Global Experience Director for Michael Kors. Trevor Sumner, CEO of Perch Interactive. Breakdown the essential strategies and technologies that will shape retail in 2019, Microsoft and Kroger’s plan to design the future of grocery, the evolution of the retail sales associate, and the role of data in designing retail experiences. Ed is on a lifelong journey of understanding human behavior, and what better canvas to hone his skill than customer experiences. A natural storyteller, Ed approaches each retail experience challenge like telling a story — start with an inviting physical environment, engage the shopper’s secret hidden desires and overcome the shopper’s challenge with an emotion-focused solution. The Vision Of Retail 2020: On-Track Or Off-The-Tracks? © 2019 HighStreet. All Rights Reserved.